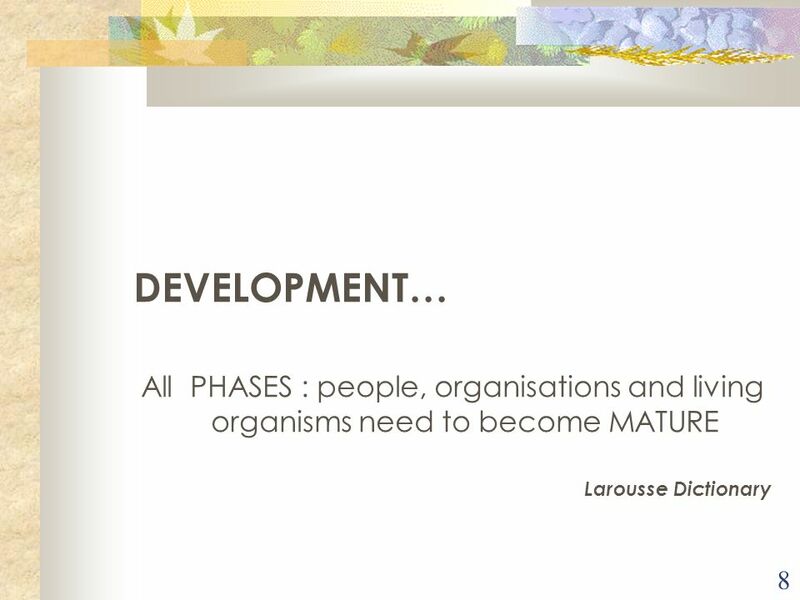 BRETON'S APPROACHES IN YOUNG CHILDREN'S DEVELOPMENT Learning, practices and points of views in Brittany's child care centres. 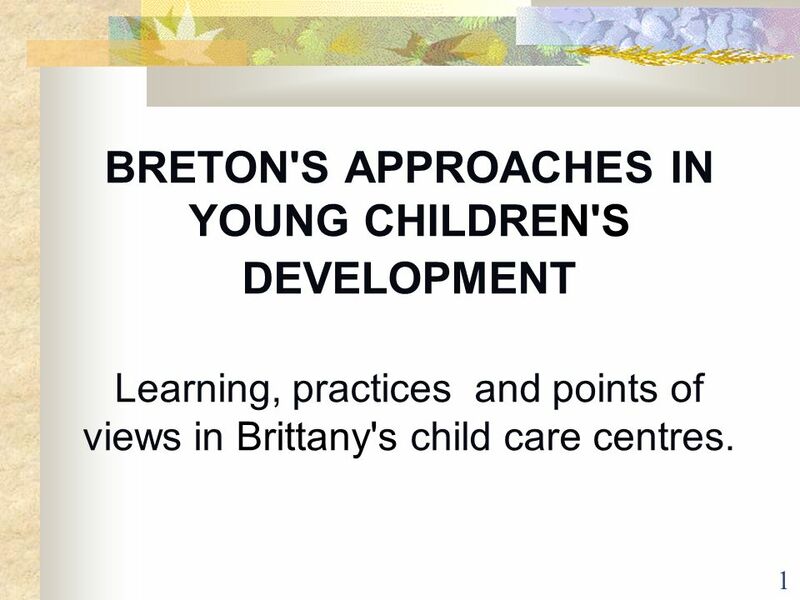 1 BRETON'S APPROACHES IN YOUNG CHILDREN'S DEVELOPMENT Learning, practices and points of views in Brittany's child care centres. 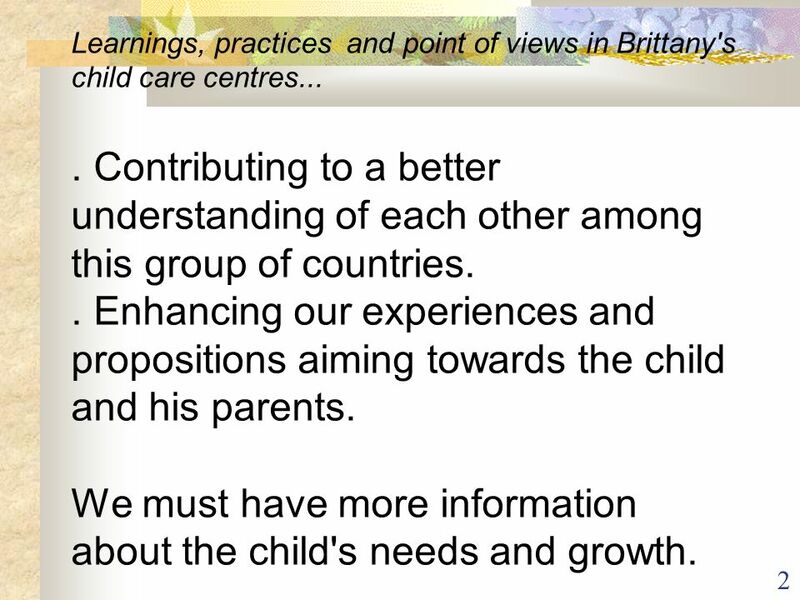 2 Learnings, practices and point of views in Brittany's child care centres Contributing to a better understanding of each other among this group of countries. . 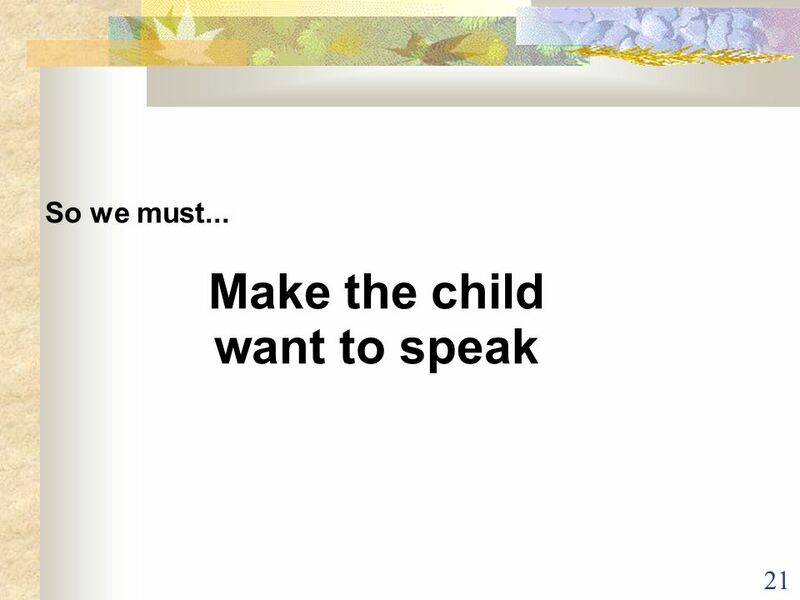 Enhancing our experiences and propositions aiming towards the child and his parents. 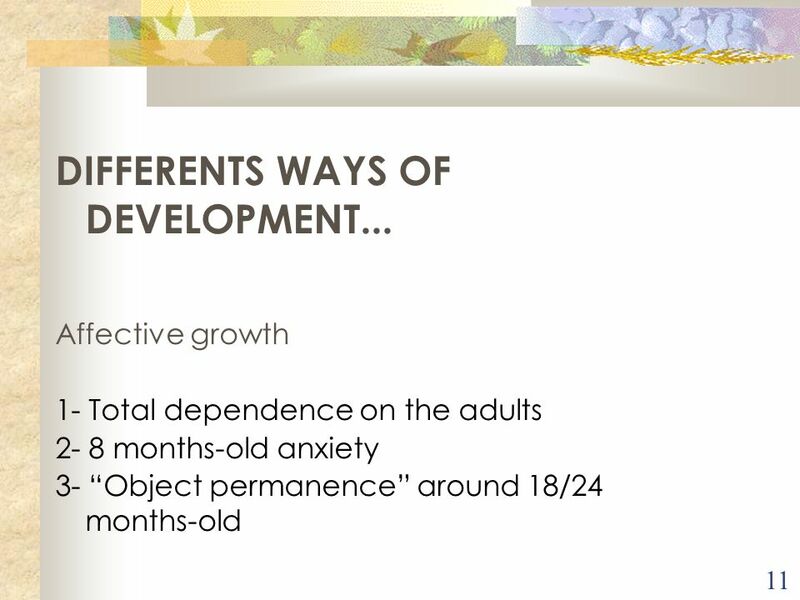 We must have more information about the child's needs and growth. 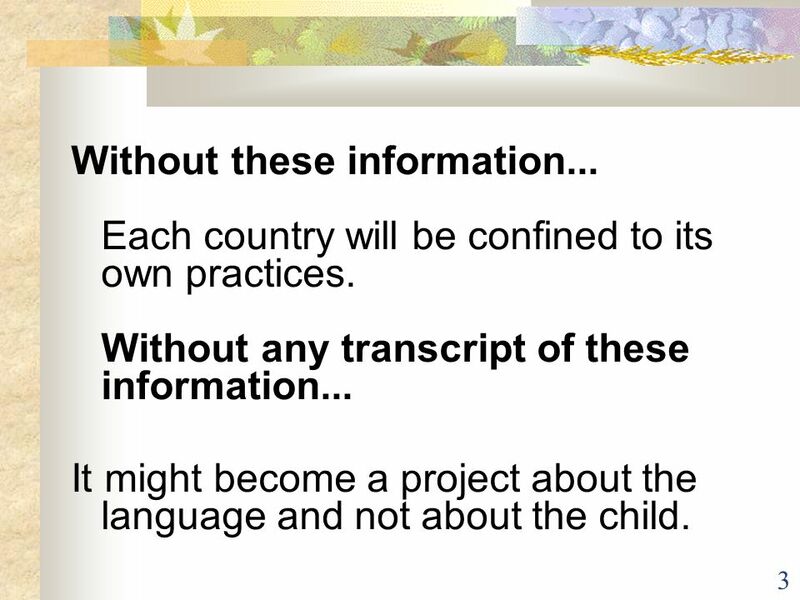 Without these information Each country will be confined to its own practices. 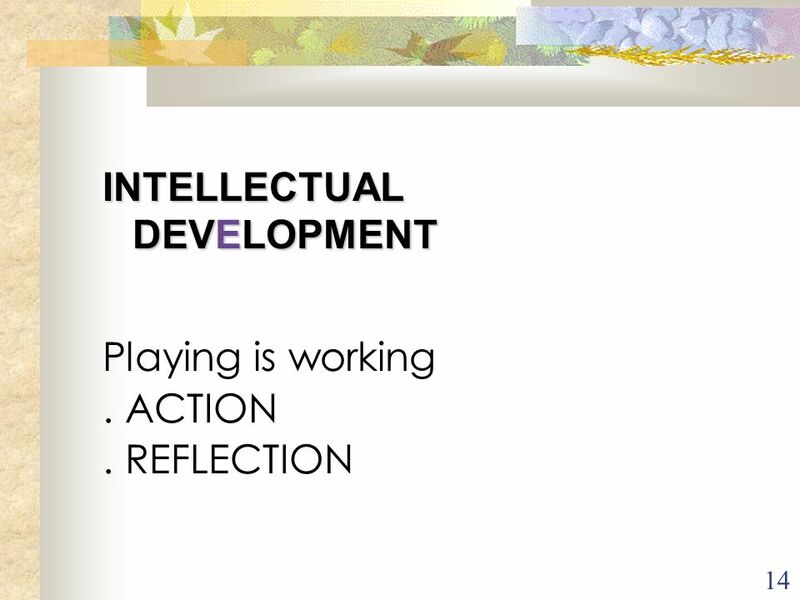 Without any transcript of these information... 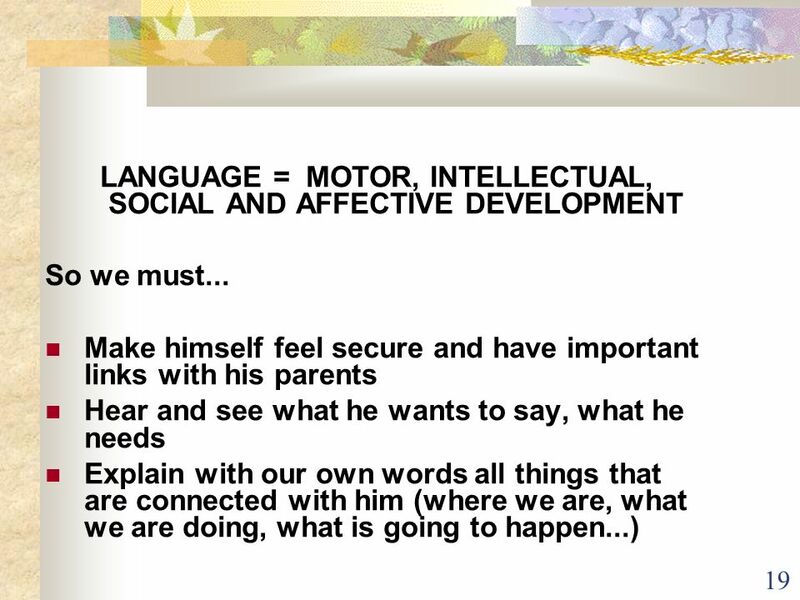 It might become a project about the language and not about the child. 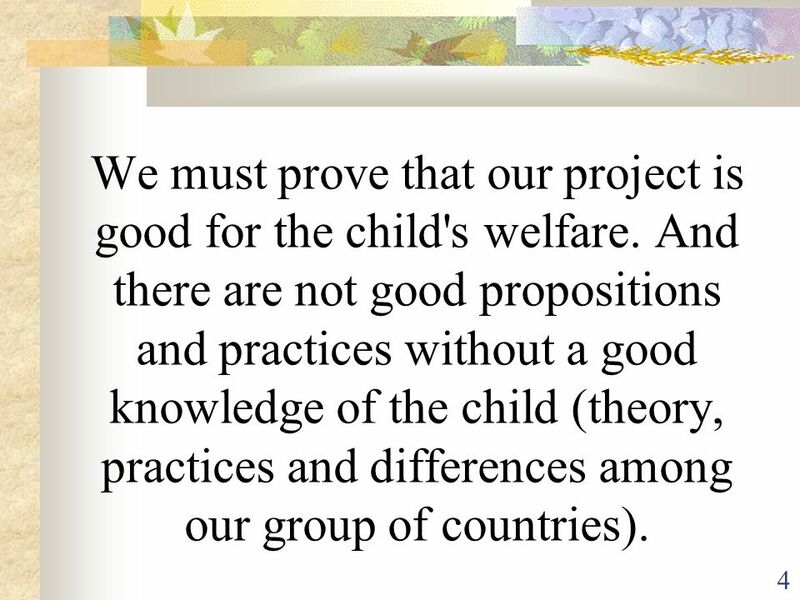 We must prove that our project is good for the child's welfare. 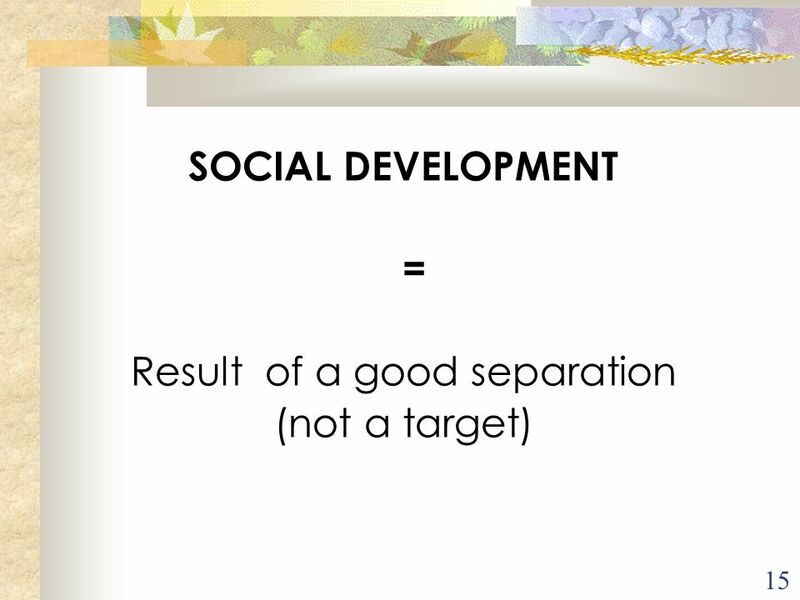 And there are not good propositions and practices without a good knowledge of the child (theory, practices and differences among our group of countries). 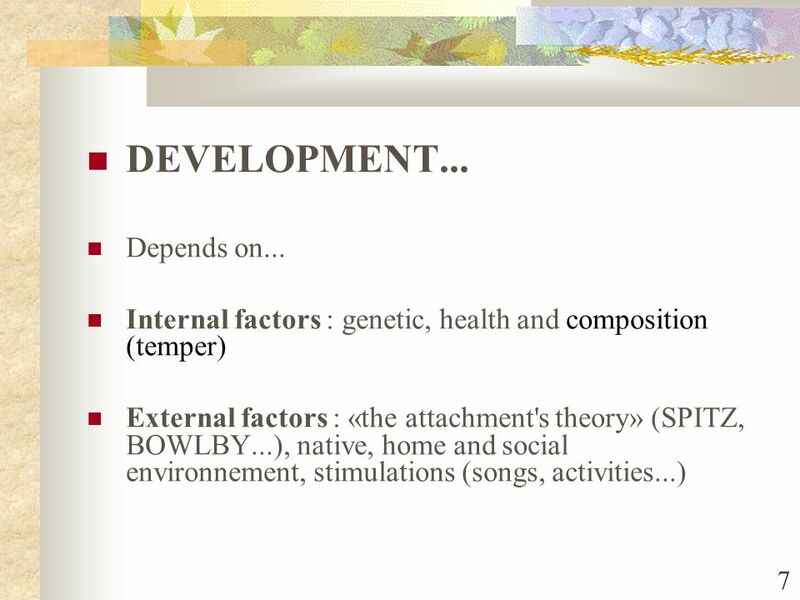 6 Is there one or more than one sort of development ? 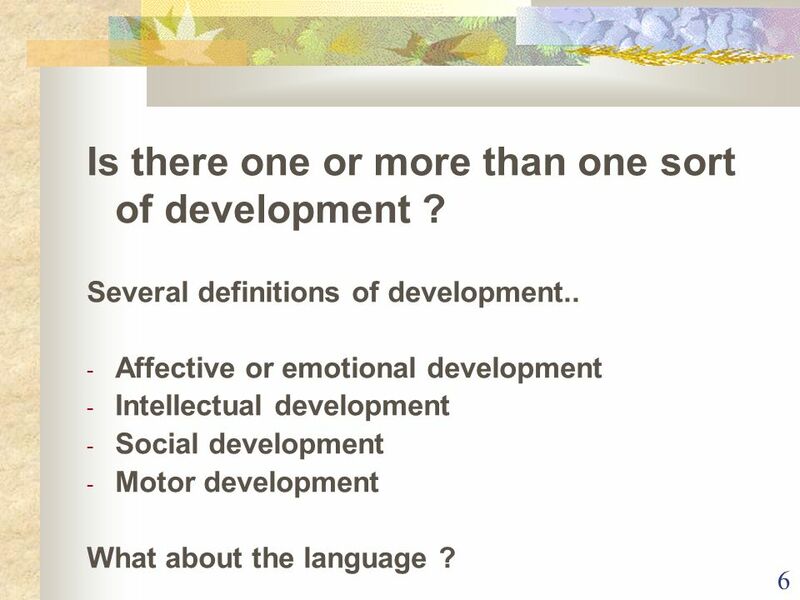 Several definitions of development.. Affective or emotional development Intellectual development Social development Motor development What about the language ? 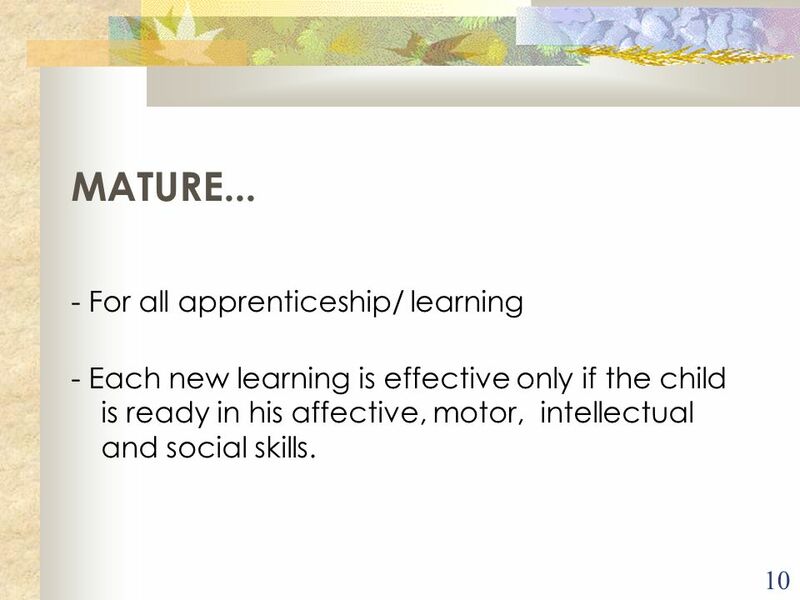 - Each new learning is effective only if the child is ready in his affective, motor, intellectual and social skills. 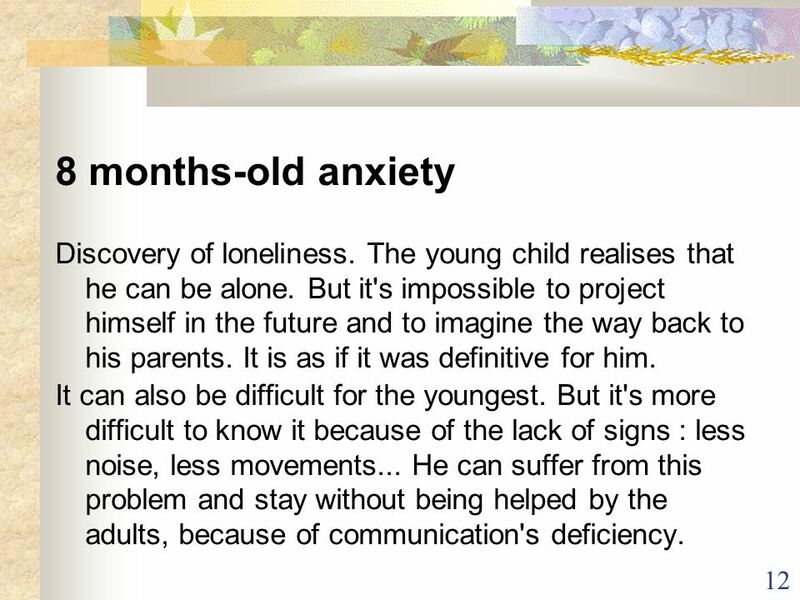 12 8 months-old anxiety Discovery of loneliness. The young child realises that he can be alone. But it's impossible to project himself in the future and to imagine the way back to his parents. It is as if it was definitive for him. 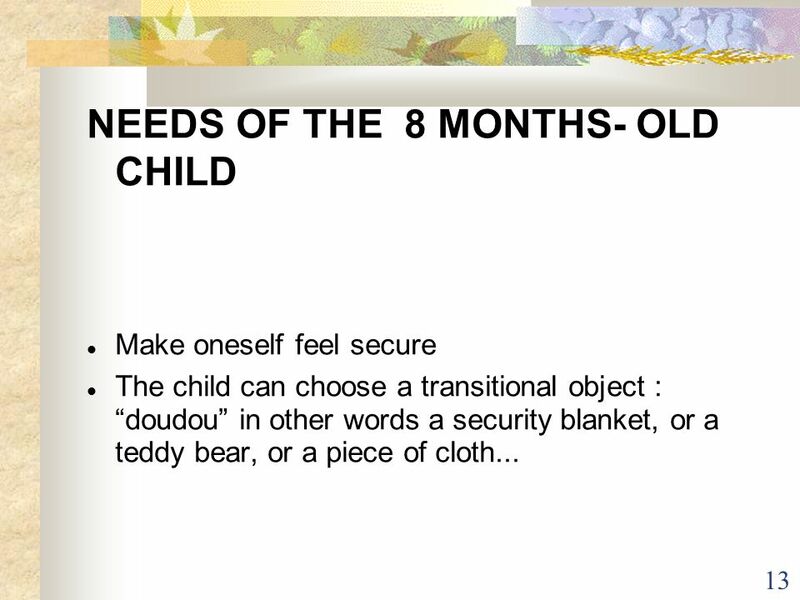 It can also be difficult for the youngest. 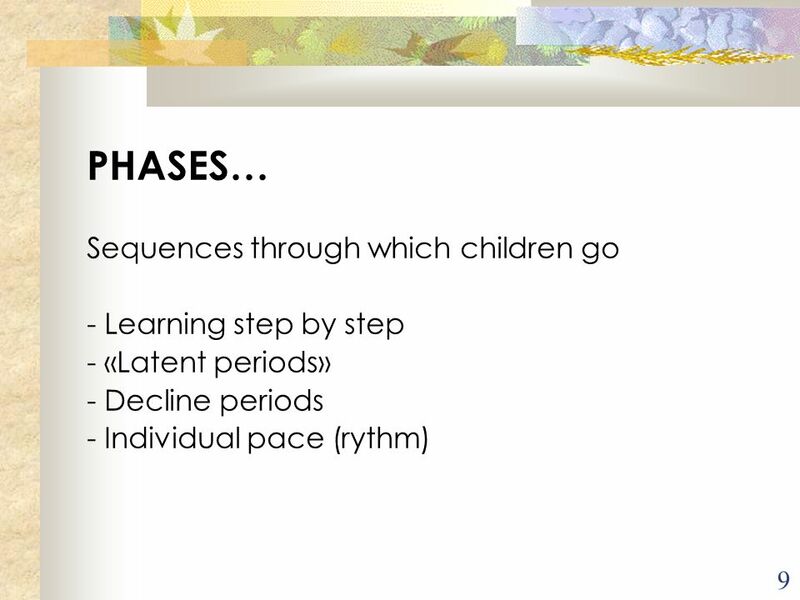 But it's more difficult to know it because of the lack of signs : less noise, less movements... 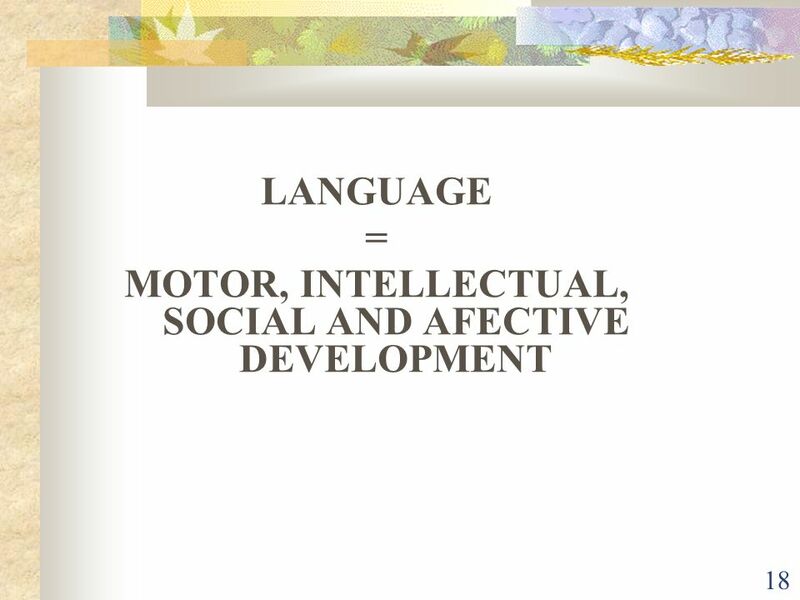 He can suffer from this problem and stay without being helped by the adults, because of communication's deficiency. 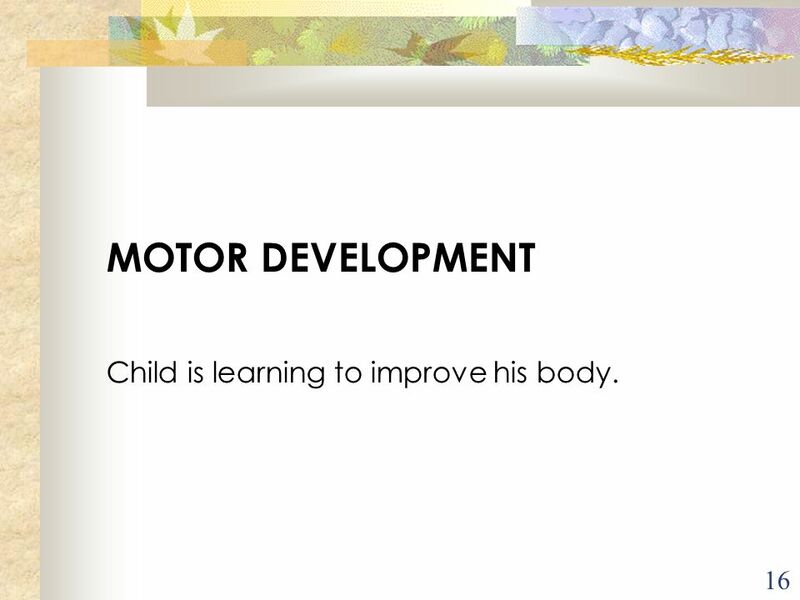 16 MOTOR DEVELOPMENT Child is learning to improve his body. Acroissement progressif des capacités à se mouvoir, à se déplacer. Cherche à se mettre debout, à marcher. L'enfant va apprendre à se servir de son corps. 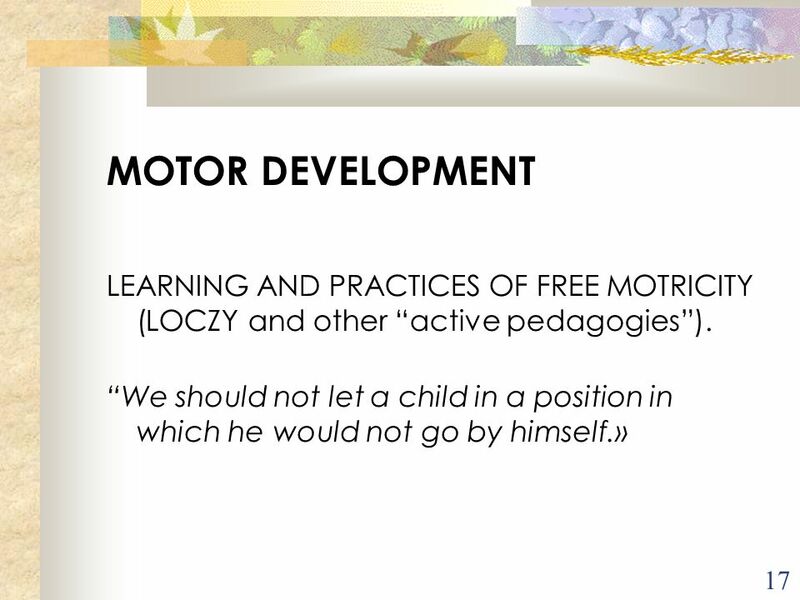 Approfondissement de cet aspect du développement à suivre MOTOR DEVELOPMENT Child is learning to improve his body. 20 So we must... 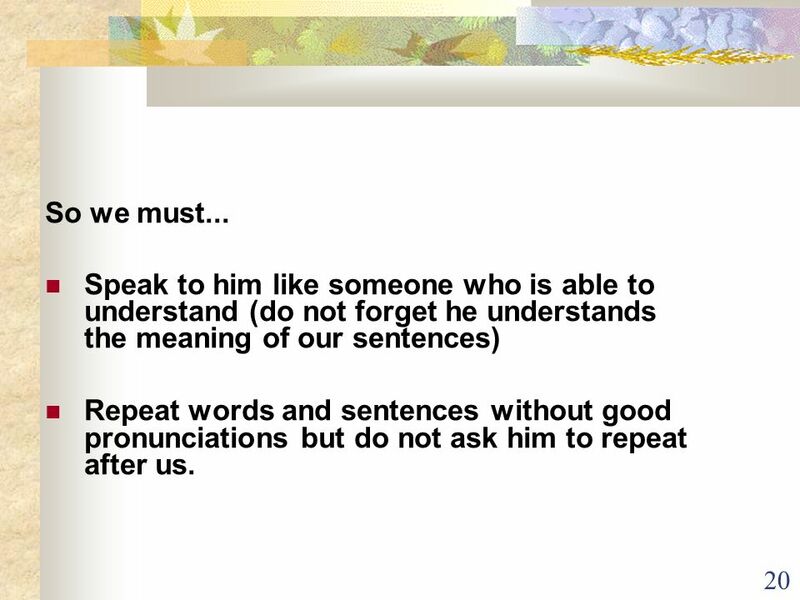 Speak to him like someone who is able to understand (do not forget he understands the meaning of our sentences)‏ Repeat words and sentences without good pronunciations but do not ask him to repeat after us. 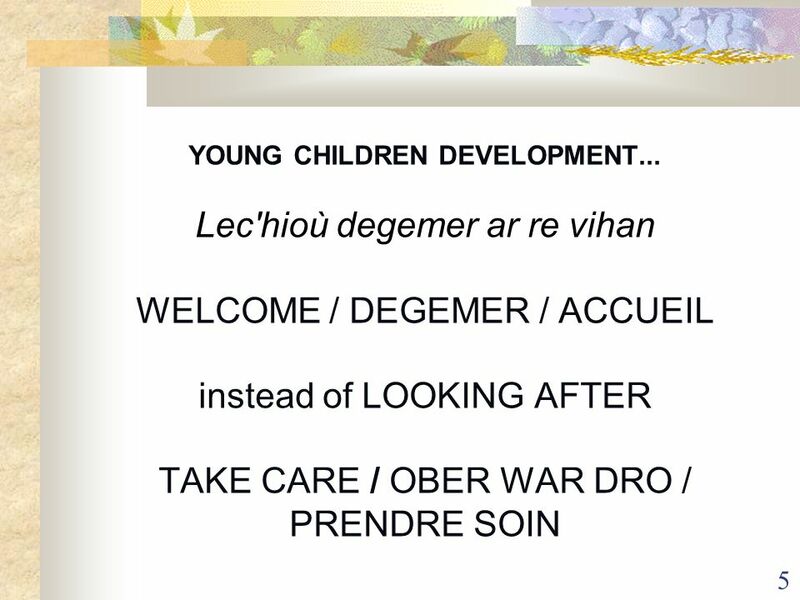 Télécharger ppt "BRETON'S APPROACHES IN YOUNG CHILDREN'S DEVELOPMENT Learning, practices and points of views in Brittany's child care centres."